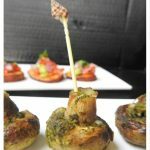 Mushrooms Baked with Dhania/ coriander Garlic Chutney is one of the best appetizers that I have stumbled upon in a long time. 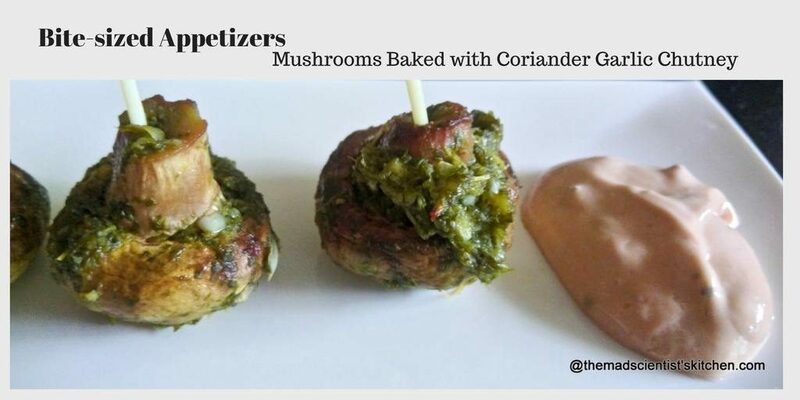 Actually, I have used coriander in some form or other in mushrooms but never thought of it actively. Dhania complements the flavours of mushrooms just try it. For a bread that I was to bake I made this awesome chutney or relish and I overestimated the amount of chutney I will need (the official reason, however, is it’s pungent). Post operation unable to eat pungent stuff, hope I get over this phase soon. Now, you know I generally will not like to waste food so to finish the chutney I made these mushrooms. They were a great hit with hubby and daughter. You need not make Mushrooms Baked with Coriander Garlic Chutney with mushrooms potato, cauliflower and paneer are a great substitute. Drain and transfer in a bowl. Add the chutney, onions, salt and red chilli powder. Mix well. Set aside in a covered container in the fridge. After an hour remove the mushrooms from the fridge. Arrange the mushrooms in a foil-lined tray drizzle a little oil. Bake in a preheated oven at 180°C for about 15-20 minutes. Serve with sauce or Russian Sauce, Ranch Dressing or tomato sauce. Linking to Sapana who is hosting Srivalli’s Kids Delight. Sounds fantastic Archana, I am sure this will be a great hit! A fantastic party appetiser , the chutney with garlic sounds yum . Wow awesome Archana. Mushrooms with garlic flavor. Sounds interesting. 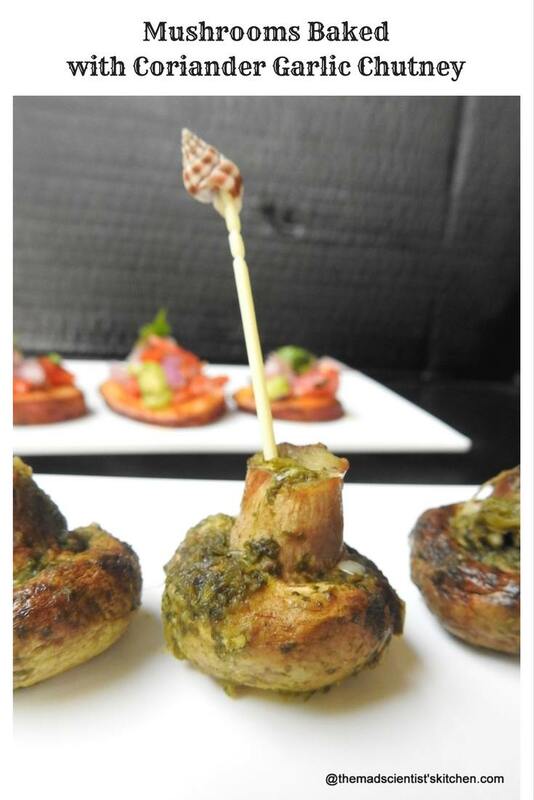 Mushroom lovers will definitely love this appetizer! Such cute looking mushroom appetizers. Love it .. Perfect for kids with a dip for the baked mushrooms..
None of us eat mushrooms at home, but my boys lately have developed a liking for mushrooms and have been eating it in restaurants. This looks like a easy recipe I could try at home for them. 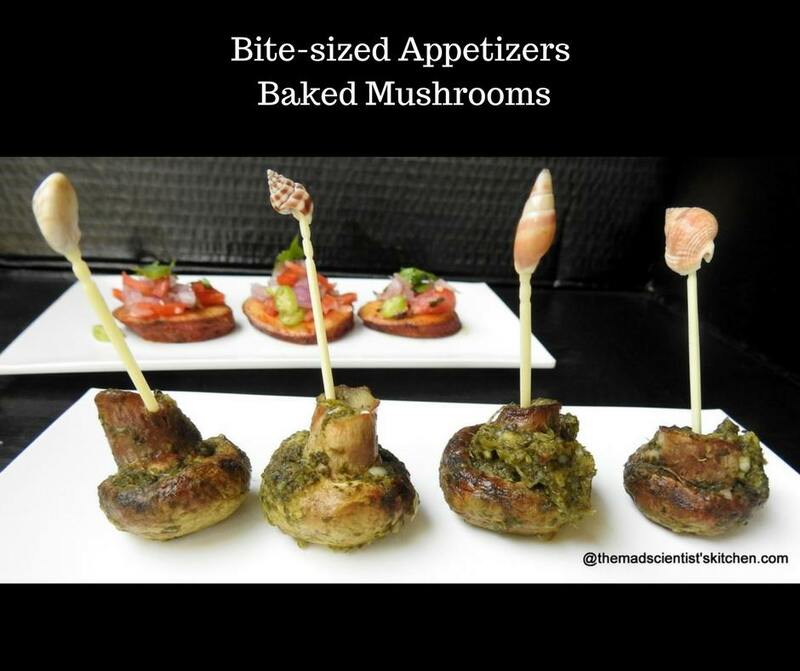 Definitely my kind of appetizers, love mushrooms in any form, drooling here.